I have been out every day this season whether it is filming or hunting. I have hunted or filmed from twelve different settings and four different counties and have sat midday twice by a watering hole. Overall, I have spent more than 60 hours in the tree. I have consistently seen deer but not in large numbers. I have had two close encounters with mature bucks and saw another in a huge ag field about 300 yards away. The weather has not been too warm for early season hunts but it has been hovering between 50 and mid 60s and slowing deer activity. I have had the best action in the mornings which is not normal for my location. One of the areas I hunt is a perfect late season farm. For years I have watched mature buck enter the crops in different locations in daylight. The game has been, do not put too much preseason pressure on them, play the wind, and hunt the edges and inside corners. With a little luck I have have had success using this method. Well, this year has been a different story. The October full moon could not have come at a worse time for some of us hunters that try to capitalize on the pre dusk movement. 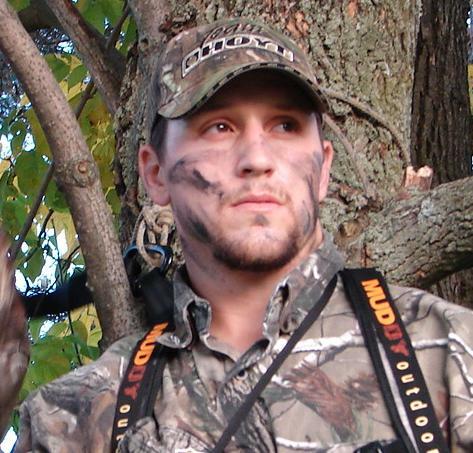 At least in the areas I hunt the evening movement has been scarce and some cases non-existent. It is amazing what that moon can do but a good hunter just has to keep making adjustments. I have been getting on stand about an hour and thirty minutes early in the mornings and hunting the stands as close to bedding areas as possible. It has paid off as the encounters I had were both hit list buck. I dropped the ball on the first one, a buck with 3 splits on his 7+ inch brow and let him walk right under me. It was a decision I made based on seeing his browtine length from only one side. I could kick myself for it but it is what happened and I have to move on. When you are hunting mature bucks, sometimes you have to let decent bucks walk or you won’t kill that big one, especially in PA where we can only receive 1 buck tag. October 18 -22 should be a good time to be in the woods if the weather cooperates. 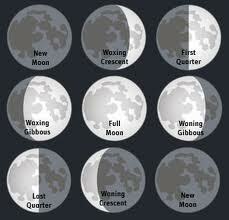 The wrong end of the moon phase will be almost gone and the weather should be cool. The 7 trail cameras my brother in law and I run have not shown much mature buck action over scrapes, but now IS a great time to get those cameras on scrapes because in the next few weeks the big boys will be hitting them. It’s a good time to find that buck you have been looking for all early season. Check out http://www.moonconnection.com/moon_phases_calendar.phtml for the current moon phase. This site also allows you to schedule your future hunts according to the moon phase. The November storm might be slow early in the month this year because that full moon will be back. Make sure you are staying out for that midday cruiser when the action is slow in the morning and evenings. I killed a 144 inch 9 point at 3:30 in Ohio on November 3rd. It was the only deer I saw all day. Good luck and be safe out there! If you have questions for Adam email us at teamsurra@gmail.com or leave a comment on this page including your name, hometown, and your question.